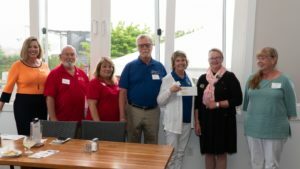 Beachcomber Corvette Car Show- Many thanks to this wonderful club which donated $2,105.00 on Oct 4th to COK! They Rock! “Thank you to our Friends at Beebe Hospital! 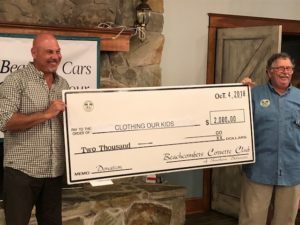 WE are all part of one community and COK is so grateful that you were able to collect enough brand new articles of clothes for us to aid over 200 kids in NEED right here in Sussex County! We so appreciate the program you’ve put in place to help us gather clothes this summer in preparation for the upcoming school year! Thank you Laurie Dickerson, Lynne Brumbaugh, Quanda Curtis-Bozman (Pictured below). 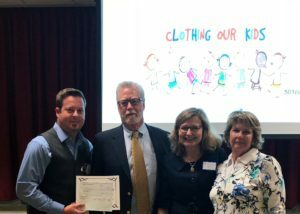 Thank you to the Carl M Freeman Foundation for hosting and honoring Clothing Our Kids at the annual May reception with a $5,000 grant award. We are delighted and honored to have been selected as a 2018 Carl M Freeman Foundation FACES grant recipient. This grant award will purchase clothing for children as they begin the 2018/2019 school year! 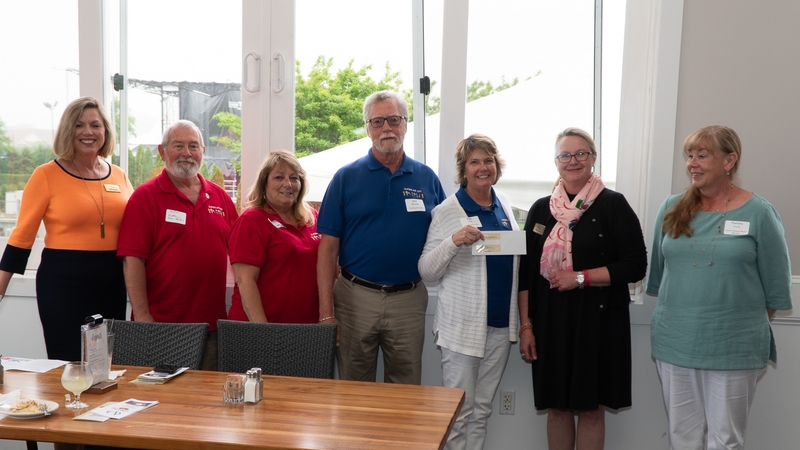 The Nanticoke Rotary awarded a $1,500 Grant from their annual Grant Fund to Clothing Our Kids! Thank you to this Seaford Delaware Organization for your support. We are honored to have been one of 5 organizations to have been selected. 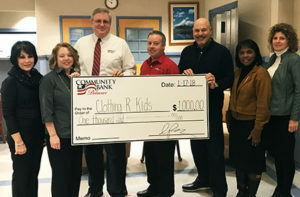 This Grant will allow us to purchase more clothing for the Kids of Sussex County. Nanticoke Health Fair was conducted on March 17, 2018. 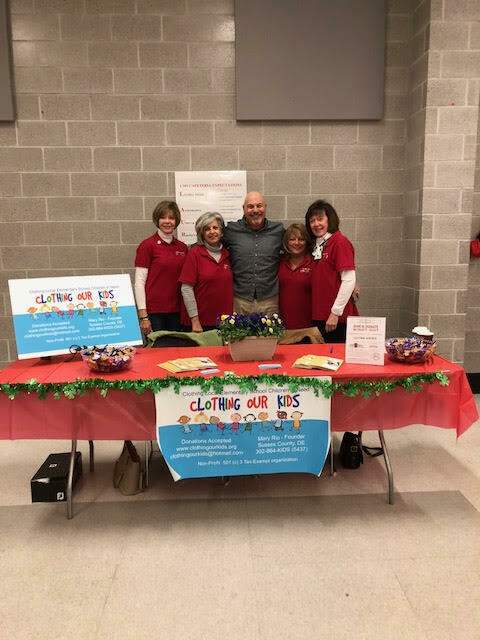 Kim, Kathleen, Monica, Maria and Glenn hosted a COK booth, creating more Sussex County awareness about the Clothing Our Kids mission. Dogfish Head Brewery Staff collects tips each month to donate to a charity. In January, COK was pleasantly surprised with a check for $2735.67 from this incredible Staff at one of Sussex County’s most successful businesses. Matt Feterson, Off-centered Tour and Tasting Room Manager, is the lead on the program. 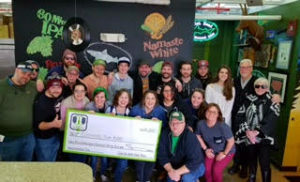 COK volunteers visited the Brewery in Milton to thank the Dogfish Head Staff during their monthly meeting on Friday March 16. Thank you Dogfish Head Staff for your kindness and generosity to the KIDS of Sussex County. Clothing Our Kids provided more than 20,000 items to 3,852 children. A huge Thank You to Mountaire! Clothing Our Kids was selected for the Mountaire Better Delmarva Award! The ceremony was conducted on December 14. Please view the videos below which will be shared on live TV WMDT. Mary Rio, co-founder and president of the Clothing Our Kids nonprofit, is aware that a child’s clothing can affect his/her self-perception and confidence level. 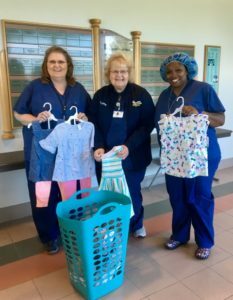 With new clothes being a low priority for struggling families, Rio and her husband have set out to provide sets of clothes, shoes and underwear to elementary school-aged children in need. We talk to her about the nonprofit’s continuing mission. 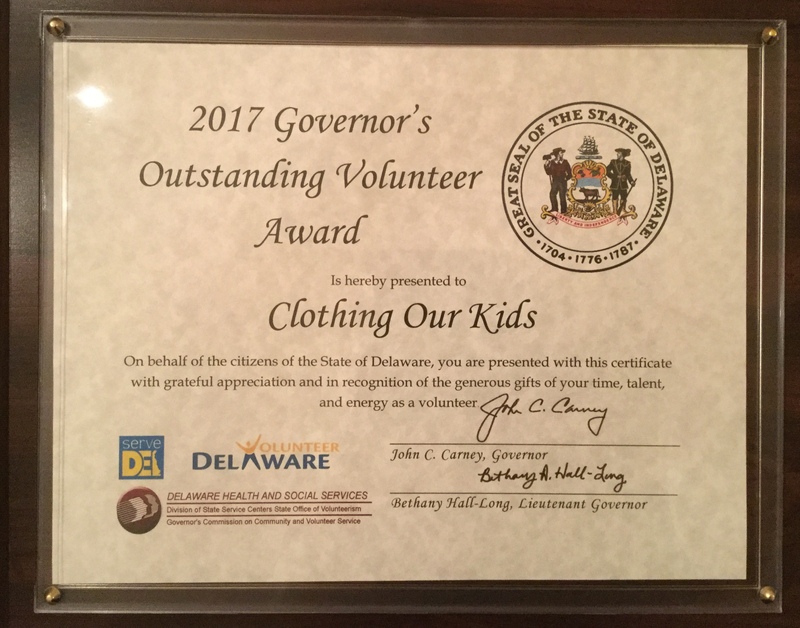 As founder, I am in charge of implementing our mission of supplying school clothing to elementary students in need in Sussex County. We collect clothes, take requests for clothes from the schools, and sort them for donation. We collect the requests from districts’ counselors and social workers and give them the clothes to distribute. Where do you think Clothing Our Kids is headed or needs to go? We are going to stay focused on Sussex County-based schools and make sure that each elementary school child has clothing available to them. Our goal is to educate the community and the schools, so every “at risk” child can attend school, giving them the ability to learn and self-esteem to give them a successful education. How can your organization get it there? Our organization has grown so fast because of the economic needs. The clothing inventory has been moved from my house to a very large garage located in Millsboro, donated by J & Y Parker Family Limited Partnership. As we grow, so does our numbers of volunteers. We now have close to 200 wonderful and generous volunteers. Without their continuous support, Clothing Our Kids would not be able to survive. In order to keep up with the demand, we need monetary and gently worn children’s clothing donations from size 4T to 18/20 youth. Monetary donations are also very important: without them, we don’t exist. Since this school year began, we have had over 6,000 pieces of clothing donated which will go to about 600 kids. Last year, we had a higher amount and we expect by year’s end to clothe about 1,000 kids.